Aim: To gain a full understanding of marine transport in the LNG value chain; from Design & Engineering, Vessel and Terminal Operations, Voyage Economics and Chartering to Trading. The learning pathway consists of interactive modules and a number of case studies that are aimed to plug knowledge gaps and stimulate discussion about industry practices and future trends. Starting with the origins of LNG seaborne trade, individual modules cover current and future trends in cargo containment and handling as well as propulsion systems, including LNG as fuel. Modules on ship and terminal operations and their interface will lead to a full understanding of the fundamentals for voyage economics, freight costs and the principles that determine hire rates. This will then be applied in a broader context to understand the drivers for LNG pricing, general supply / demand and arbitrage opportunities with freight as an enabler. The concluding and interactive chartering modules will cover the commercial and legal aspects of charter party contracts, LNG-specific clauses, negotiations and market fundamentals. Why is Time Charter the default format in LNG? 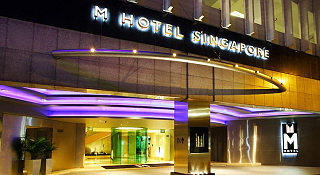 Case Study: "The Chartering Game"
The venue for the course is the M Hotel in Singapore — part of the Millennium Hotel Group. The fee is USD3600 which includes all documentation, light refreshments and lunch each day. Accommodation is NOT included but is available at the venue or one of the many hotels located nearby. 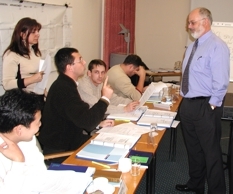 To download a programme giving fuller details of the course, click here. For a Booking Form, click here.